It was a great weekend in the sandpit in Brno. A super a cute show that was well organised and with super friendly staff, we were made to feel very welcome. Malin got the ball rolling, winning the 3 star Grand Prix with nearly 73%. Bon Ami is a super competition horse. Reliable, consistent and with talent through out, Bon Ami fights for you and is one of those horses who ins consistently good from start to finish... equally great scores. 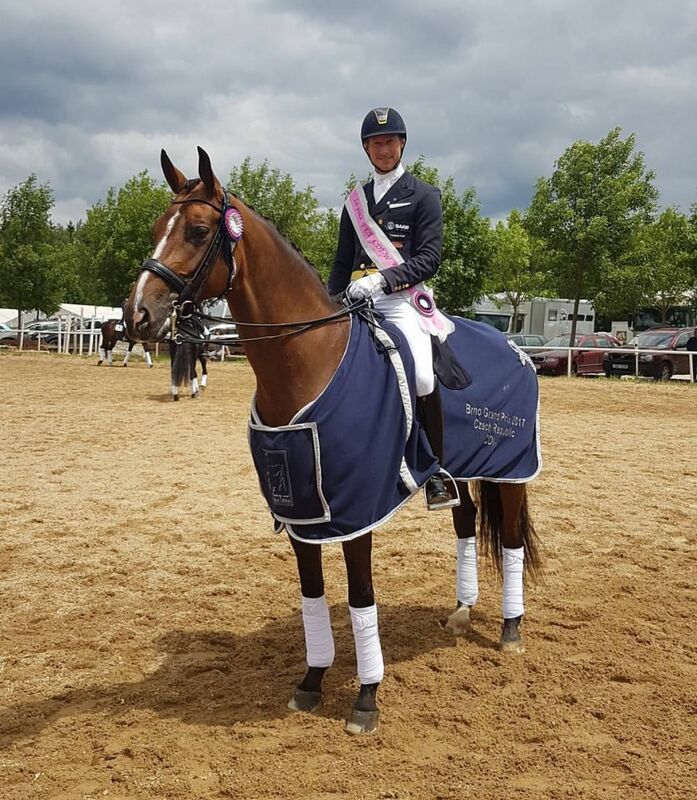 Malin continued her run of winning all her international starts with Bon Ami by then winning the special with 73.8%. It was a proud moment as a trainer to watch Malin do so well. She has done a super job developing all her horses in the stables, and its great to see her shine in the arena. Well Done had her second international start and is starting to feel more at home in the surroundings. I truly love this mare, and she offers so much and gives me such an amazing feeling. My hopes are high with this lovely girl, and I know what she can achieve with some more experience... and this competition was a great step in the right direction as she is starting to develop confidence and show what she can truly do. Welly won the Grand prix with just under 74%, and then won the World Cup qualifier with her new Freestyle with a score of 78.5%!!. It was lovely to have the owners and breeder their to support. Can not thank them more for all their support and trust!.